I had a relative who won all her arguments, thanks to her toolbox full of proverbs and parables which she used naturally and effectively. I think now, in retrospect, that for her to have won all those arguments, she must have followed techniques whereby each argument is forced to turn itself to an angle which exposes and brings to light a side she deems easily yielding to any of her weapons, then thrust one of them (proverbs) into the favorable side causing gut spilling, and paralysis affecting a final shatter on the antithesis. People adapt to proverb and parable supported argument more readily than to one solely dependent on logic and calculation. This is so, perhaps, because it seems that proverbs are to situations what words are to language. With a single word, Book, you refer to the unlimited and inexhaustible instances of physical books here and there, now, in the past and the future, all colors, sizes and volumes included. Similarly a single proverb would refer to unlimited instances of a class of situations here, there, now, before and forever and in this context proverbs can be thought of as existential references as opposed to words thought of as descriptive and conceptual. Proverbs are underrated and misunderstood by many in our age especially by those who take the scientific outlook and calculation as the only prism through which reality manifests itself. To those, Aldous Huxley, a 20th century British thinker and author have this to say: “Proverbs are always platitudes until you have personally experienced the truth of them”. An expressive proverb must not only be one fitting a situation, but, it also have to do that in a style and elegance and the briefer is the more so, since a proverb, to be a proverb, must fulfill itself yielding to the adage: “Brevity is the soul of wit”. However, One should be careful not to err and take brevity for poverty and narrowness, and perhaps it is because of this that mystics in all cultures valued silence in the presence of the absolute as the highest form of expression. Abduljabbar Al Niffari, a Sufi mystic wrote this one thousand years ago: “where the wider is the vision, the narrower gets the expression[i]”. The evidence for this is there at arm’s length; for If that is true then the Tigrigna proverb : [ኣይኮነን ዶ ሞት እርጋን ውን’ላ[ii]] has elegantly said in a few words almost as much as the French philosopher and feminist Simone de Beauvoir has said in her book “The Coming of Age” in so many pages and so much words. An Eritrean or Ethiopian gentleman (I couldn’t make it out, from his name at that time), who claimed to have been serving in the Ethiopian Army during the war in Eritrea of the eighties in the capacity of a minor officer, responded to what I wrote at one time, with a long email, displaying amazement at the audacity and naiveté of Eritrean writers who seem to imply the claim of having full understanding of their people. His note showed great understanding of Eritrea as a country and many of his descriptions were fairly accurate. He told that when an Ethiopian Army contingent was coming into a village which the Eritrean Liberation forces where occupying but evacuated before the earlier arrive, the people would welcome the new arrivals with the same zeal and enthusiasm offered to the rebel Forces before them. He states that this was, a recurring case, an all-time fact with no single skip. He, at last, concluded that no one, Eritrean or non-Eritrean, is possibly in a position to say what Eritreans think and want. He thought that they (Eritreans) are: so secretive and secret worshiping people, so much so that if one of them meant to keep a secret, he would keep it including, really…really, from himself. The gentleman didn’t forget to close his opinions by affirming that this is the weirdest thing about Eritreans among many other weird descriptions. The gentleman seemed, in my opinion, to have confused himself doubly and needlessly, first he didn’t take the circumstances of the time into consideration; was he, perhaps, expecting that the farmers behave less welcoming to the Ethiopian Army’s contingent than they were to their former guests? Farmers were butchered for much less offenses by that same army around that time! Secondly, had he have an idea of a proverb in Tigrigna which recommends doing exactly what the villagers were doing without failure as he said, he would have at hand something to ease his bewilderment: [ዝነገሰ ንጉስና ዝጸሓየት ጸሓይና፡][iv] “Z’negese nugusna, Z’ tshayet tshayna”. Proverbs don’t dictate behavior, to the contrary, behavior is the initiator and dictator of the proverb. But saying this may not invalidate the fact that proverbs reflect the general mood, temperament and worldview of a certain culture at a given stage of its history. However, because a proverb is a prophecy in a sense, it is, like any other prophecy, subject to a condition recognized as the “Self-fulfilling-prophecy Syndrome”. This phenomenon may be defined as: “when a person unknowingly causes a prediction to come true due to the simple fact that he or she expects it to come true”. A finer and more to-the-point definition is the one proceeded by the medical dictionary: A distorted prediction or statement about a person in a certain setting, which forms a substrate that ultimately leads the person to behave in the predicted manner. The question now is if it is safe to say that this class of proverbs which exalt the value of safety and bare survival over everything else in life including freedom, dignity and honor have any moral stamp on the people? To answer this, is to decide which is prior to the other, was it first the proverb that existed as a dictator of the behavior or the behavior was the creator of the proverb as an after-the-fact residue? The answer is not hard to come by, for it is not possible to imagine that the proverb could have been there first, empty, seeking to be housed with a pattern of a behavior, it was, rather, natural and logical to assume that the pattern of the behavior was the one clamoring for a proverb to populate. And when it happened it was this proverb, one truly apologetic, pseudo-wise, dictator-friendly, and a justifier of submission, humiliation and cowardice! Has this proverb any active effect on the people? the borderline in the case of Eritrean slaves seems to be beyond the plucking of children from their midst to be served as fuel to the pogroms and bonfires set by the regime, beyond their virtual enslavement, and beyond murder. In December 2010 in the Tunisian backwater town of Sidi Bouzid, a street vendor, Mohammed bou-azizi, set himself on fire protesting the confiscation of his hand drawn cart and the harassment and humiliation he suffered at the slapping hands of a policewoman, who, thanks to her membership of a law enforcing organization, was legally inaccessible to accountability. The self- immolation of the 26 years old Bou-azizi shocked the consciences of his compatriots, and in a few days, the whole country was immersed in riots the pressure of which brought about the downfall of the regime and the flight of the leadership abroad. No matter how you translate or analyze the story of Bou-azizi you have to take one fixed and unalterable component into your account; this is empathy, the ability to imagine being in the other’s shoes! To imagine being on the receiving end of an unpleasant situation in place of the other whom you are not acquainted or know! In fact that was the most important element in the whole Tunisian self- immolation connection and its ensuing effects, and that very emotion in an individual carried for fellow humanbeings called compatriots is what makes a nation really become one. It is a feeling of unity of destiny. Those millions of Tunisians who were rioting, where doing that because every one of them had the imagination of himself in place of the unfortunate Bou-azizi in his terrible fate. It is worthwhile to observe that it is almost certain that Bou-azizi was unaware that his act of despair will attract attention the way it did…why should he expect a different outcome than his compatriot Abdussalam Trimech who only six months before him committed the same act of self immolation in the town of Monstair for almost the same reasons but went without a significant attention. Bou-azizi was, probably, protesting his personal grievances but the cruelty of his death excited his compatriots common empathy and exactly there was the message included that his death was not in vain, and his act of despair passed rightfully as an act of protest against tyranny, regardless of his intentions. This was on December 2010. Now, fast rewind to: June 29, 2010 when an Eritrean woman was shot dead at the Egypt-Israeli border. The death of this unfortunate soul though succeeded in attracting some attention from the international media it, however, failed miserably to register a ping on the Eritrean conscience, and if it did there was no real evidence to it. Perhaps there followed a muffled melqes[viii] back home or somewhere in the diaspora here and there but that was about it. She was not the first Eritrean to die there the way she did, her’s was a copycat of other Eritreans’ including women and children who preceded and others, in the hundreds who succeeded her, and all went the same way: some international attention for a while and a deafening silence all along from where it matters most: their compatriots! Rich and powerful Europe know very well that its trick is a slippery road leading to participation in Murder and trafficking, or is it, perhaps, that that was what old rich Europe really wants! How else could it be explained otherwise when the prime initiator and maintainer of what it dubs Eritrean illegal-immigration is seen showered with hundreds of millions of Euros to help him keep his victims in place, locked in a pressure cooker? How is the reinforcing of the grip of a murdering hand “not-a-participation-in murder”? And wouldn’t the Euro paid elevation of pressure in the cooker lead to greater waves of exodus and more business to traffickers and traders of human misery? How is that “not-participation-in-trafficking”? Many followed the track from Sudan and Ethiopia to the valley of death in Sinai, and more down the Mediterranean bottom. And in all cases, as before and as ever, there was some international media attention, muffled melqes sessions back home and in the Diaspora, but among the real and true owners of “Z’negese…..” proverb, the ignorant, the white haired, ruthless, cruel old men holding fake high educational credentials , the false prophets, there was role-playing, lies, gloat, and glee because: Of these struggles and sufferings they will never know[ix]; hyenas and vultures, they are cowardice embodied. The proverb “z’negese….” is now seeming a solid social culture, a source of amazement and wonder, miraculous and indeed magical in its works, for on top of its transparent and semi-transparent forms, the proverb has folds and wrinkles which help making it difficult to readily be recognizable. To understand this, one have to take notice that “Ngus (king)” is not only a man-king, for, like how the Arab saying goes that “Sleep is a Sultan[x] “, so is an obsessive idea of a king, a principle is another, taming circumstances and anything that forces you to focus on and accept what they dictate even if the diktat is not to your taste and liking is a king, acoustic and sweeping emotions are deservedly a great ‘king’ which rule realms regardless of the harms and devastation that these emotions may bring and create. When the Eritrean youth tragedy in Sinai was at its height and when every one of them was the target and victim of organs-harvesting gangs probably associated with the Eritrean regime, enthusiast Eritrean Diaspora members were taken away by their emotions (i.e. their king of the day) and were hard concentrating and focusing on saving the trapped young Eritreans from the hell created by the tyrant in Eritrea without giving much thought in the process to the effect of their emotion-driven interference in mitigating the pressures on the regime of Asmara. The Exodus was not stopped if that was the objective, and the real beneficiary of the interference may have been the regime which was the cause and initiator of the drama in the first place. The interference was certainly a noble act, an expression of empathy and nationalism, but the Eritrean youth’s desertion of their country and the ensuing pains was not the actual disease suffered by Eritrea; that was only a symptom, a side effect and a byproduct of the actual disease that is the tyranny inside Eritrea. Treating a symptom in isolation of the disease exacerbates the disease and worsens it because it is just sedating and desensitizing the body which consequently gives advantage to the disease, after all pain is part of the defense mechanism of an ailing body. Was it, perhaps, beneficial and purposeful for Tunisia had Bou-Azizi been dissuaded from his act of protest? The young student was the nineteen- year-old Vladimir Lenin. Many of those who were saved from the Sinai debacle where not of much help to their cause or to the cause and plight of those who may follow on their tracks, in this aspect they were the perfect abiders by the proverb “Z’negese….”, they were also the alibi of the murderer in Asmara in his claim that those who flee his clench were only economic migrants, Although, to the chagrin of the ignorant at the top, the political concern inevitably, always, translates into the economic. In summer of 2015 an European Artist set up a photo exhibition on the grounds of the Munich Main Railway station[xi], there were in this show quite a few interesting photos depicting situations in different parts of the world, but there were two outstanding photos, contradicting in content and contrasting in spirit. The first was the dramatic picture of an extremely overcrowded refugees boat in the Middle of the sea with occupants in colored but flimsy, tattered clothes, eyes shooting upwards to what seems a hovering helicopter overhead. 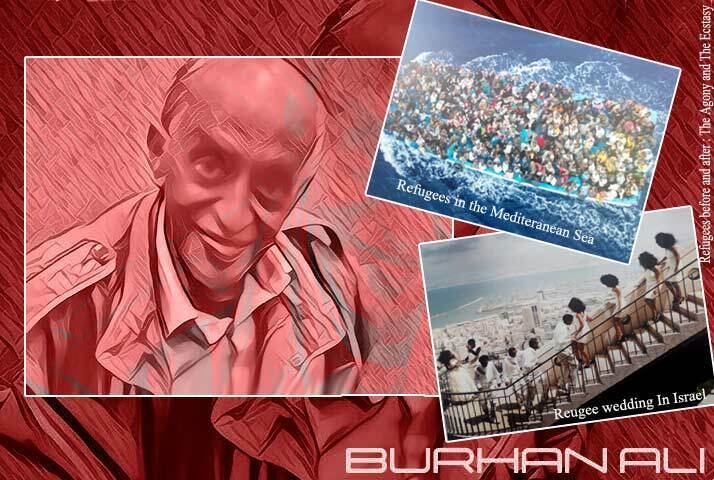 The other contrasting picture was that of Eritrean refugee young men and woman in the process of conducting an extravagant marriage party in Tel Aviv, with a comment concerning the occasion. 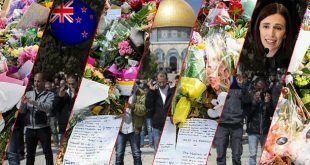 The two juxtaposed pictures seemed to be a right wing anti-refugee message of incitement and provocation to the welcoming European citizen, a message the ammunition of which was handed to the bigoted artist by the refugee themselves. This was not all, recently there is a story going around of an Eritrean Refugee (ex-refugee?) in Australia who in company of his bride landed in the yard of the celebration hall aboard a rented Helicopter. Another ex-refugee, held a legendary marriage celebration in a Turkish lavish Hotel, a copy cat of another legendary marriage that of “Muhanned and Nour” the principal characters of a Turkish T.V. soap opera which recently took Arab and Asmara viewers by a storm. The wonders of the proverb “Z’negese….” are numerous and difficult to enumerate, but it is easy to observe that it has striking similarities with the regime’s hyenas and vultures, one such similarity is that it feeds on tyranny and tyranny feeds on it, an ever-descending dialectic of reciprocating and alternating supply of ugliness. The spirit of this proverb is also the source of the misguided sense of the possibility of partial and individual delivery. The grip of that spirit, faithfully, represents The present Eritrean dilemma of tyranny as a spiritual and Ethical crisis engulfing the whole nation to the extent that even the man at the top -the tyrant- may possibly appear to be a victim of the same process by which the average Eritrean is cruelly suppressed, mowed and pulverized, but that may be a topic for another day. [v] A coward returns back to his mother. [vi] The coward doesn’t die, the bold doesn’t die…only the unresolved does. [vii] Read the full English version here, the Arabic version is here. [ix] From the short story “The great wall of China” by F. Kafka. Once the impression of the power of Burhan Ali’s (BA’s) language subsides, his thesis and antithesis are internalized, in dispassionate way trying to read the motive behind the selection of the one proverb throughout the article, namely znegese ngusna zebereQet ZeHaina is something worth exploring. Applying motive to the author would be an exercise in futility because I reckon how easy it would be to erroneously extrapolate what’s not there; after all, “I do not [even] know the man”. Therefore, the only rational thing to do would be to seek the motive behind my reaction to the piece. Allow me to personalize the story, but I must appropriate the proverb in question in what it meant to me whenever I heard it being bandied about by various individuals over the years. Bereft of its historical context, the proverb is ill fitting as the author and many commentators have alluded to already. What BA’s piece did was resurrect ‘znegese’ to only give it its last gasp, the kind of fin de siè·cle, the French would say, albeit it inadvertently. Boy, oh boy, I best ‘splain what I mean. The article leads its readers by a story in which a woman who is able to pop out proverbs like popcorn as an arsenal to disarm her interlocutors. This might, at first glance, appear to the reader that the author is at best fond of proverbs. Subsequently, however, the literary narrative shows how complicated that picture becomes. The author seems to be saying to his readers, hold your horses; this clichéd, proverb spouting character I am telling you about is not anymore my kind of gal than that of Shakespeare’s Polonias in Hamlet who utters thus, “This above all: to thine own self be true,/And it must follow, as the night the day,/Thou canst not then be false to any man./Farewell, my blessing season this in thee!”(Hamlet Act-1, Scene-III, 78–82). AB’s piece is not an argumentative essay; it’s a work of literary endeavor that merits and deserves to be treated as such. So, the author is not being elusive. To the contrary, all what he is hoping is that we remove our argumentative hats and wear our literary lens. This lens will, by necessity, demand that each reader be left to his own life experiential devise to interpret, assess, and analyze the message of the article. Unless such paradigm shift occurs in the mind of the reader, it will be like asking a heart surgeon to remove tooth using heart surgeion’s surgical tools and vice versa to a dentist. At the nerve center of literary work rests conflict. Finding conflict within a literature tends to arm readers to begin to decipher the meaning of the message being conveyed in any work of art. This obviously requires critical thought. It’s in such conflicts where one can see the tensions that emerge whether for the good or evil intent of for banal and mendacious reasons or just for the love of language. The love of creating something from nothing by stringing words together must be one gratifying endeavor in the world of writing. If there is no conflict and tension, can there be a story? When all is said and done, there is one notion that we may collectively be suffering from: The maladies of the past appears to be shackling our respective spaces, out of which we seem to be struggling to unshackle ourselves from. Proverbs of yesteryear may not have any bearing on the present context, yet, we seem to find some sort of solace in such intellectual bubble to a point of refusing to see our predicament in their realistic contexts. In the absences of “overt arguments” to be countered that could help in the ushering conversations and dialogues, and literary culture…BA’s piece might be remembered as one that helped us pivot from argumentative essays to the literary one on the one hand, and, on the other hand, through the plethora of proverbs shared, well, at long last, we may as well be on our way from group-think to the realms of individual-think, if you will. What I find fascinating in Tigrinya proverbs is the ones that make collective references as in znegese as though the individual within the collective has no voice, has no say, but I digressed. I am treating the article in question as a literary treat (i.e., not an argumentative essay that requires counter argument – this we need to keep in mind). As such, the writer is leaving the interpretation of his work at his readers’ disposal to tease out whatever salient points they fancy. It is because of that that there were many divergent viewpoints. The genius of literature lies when it generates divergent points of view as it refuses to be pinned down to one theme/argument. But, if there is one proverb that repeatedly graced the “Anatomy of Proverb” it’s the “znegese…” And a reader is bound to repeatedly question why this particular proverb was important to the author? Was he responding to other writers or commentators? Was it something that the author needed to flesh out or to face head on? Did he find “znegese” so irksome in some group in whose language the proverb is uttered? Was it the veracity of this particular proverb that the author was trying to challenge or was he in agreement with it? After all, the author readily acknowledges that proverbs are situation and context specific. And those proverbs are historically bounded and culturally and traditionally guided. The question then that remains an unanswered definitively is whether this proverb [“znegese”] has any legs to stand upon in today’s Eritrea? I argue with emphatic NO anymore than, say, “islamay addi yebllu, Awdi yebllu” does. I don’t profess to know its roots, nor do I care really, because Eritrean Muslims have been and continue to be part and parcel of the Eritrean nationalism narrative. The idea of Eritrea as a nation-state was incepted, if not hatched, certainly conceived by majority Eritrean Muslims. 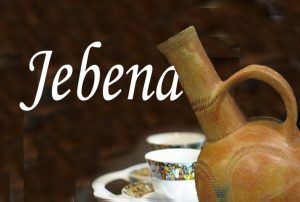 Therefore, much as znegese… proverb, the Islamay…proverb has no place in Eritrea’s political culture nor should it in the collective psyche of all Eritreans. It is human nature to rise up against oppression [perceived or real]. But there are many factors, internal and external, that should be satisfied for an uprising to occur. I think it is shallow and lazy to ascribe the absence of visible resistance to the ‘submissive’ culture of Highland Eritrea. The fact remains that it was the organisational thinking of Highland Eritrea that provided the backbone of a successful liberation Eritrea. This demolishes the false assertion with one stroke. 1) Lack of a clear objective or the presence of multiple conflicting objectives. In a society with multiple loyalties [a taboo issue] this is bound to happen. 2) War/conflict fatigue of the Highland population, which bore the brunt of the 30 war of liberation almost single handedly. 3) The first two requirements lead to the absence of Civil Support for the opposition. It raises the threshold of oppression [perceived or real] beyond which the population refuses to obey the government. 4) The existence of a relatively stable, strong central government which controls essential aspects of life in Eritrea. 5) Lack of external support or effective external support for the opposition. 6) Items 4) and 5) lead to the failure of the opposition to move to the next stage of their struggle i.e. the Build Up towards challenging the government militarily. In a monastery somewhere in The highlands, a nun was impregnated by a monk. When the fiasco was discovered, the monks gathered to look for a way out. They brought the monk and he admitted. And he had a solution: he said he can marry her! Now, after the sinful act he committed, he was brazenly suggesting that he, a monk, marry the pregnant woman, a nun! Someone in the meeting exclaimed: zyHafir dummy geremariam shmu. The monks name was Gebremariam. I think it is a brilliant exclamation that morphed into a proverb. Out of context, it means nothing. I hope now it does. So, leave abotatba (and adetatna) alone. I literally don’t know how to start; and where. 3. The Eritrean ‘Abya’ against Italians is less acknowledged, because it is less heralded, and we were told we were submissive for 50 years; and only hate of Ethiopians drove us to struggle against all odds. (That is the version some Ethiopians repeat, according to Sal.) If that is true, it says more about Ethiopians than us. Truth be told, Given less than few hundred thousands at that time 1890s, a lot of Eritreans did rise up after welcoming Italians to save them from Alulas of that time. “Baranbaras kafl, and Degyat Mesfun, the son of Raas Weldemicheal were imprisoned, soon after which they both died. Degyat Tesma Immam was taken to Italy as a prisoner where he lost his sanity, and Degyat Hadgenbes Gelwet of Adi Tekelezan was killed in a prison in Masswa. Kentiba Hailu of Tseazzega was killed in Asmara and his son Tedela was killed in Genda’e and other legendary leaders like the son of Baranbaras Kafl and Baranbaras Yelma were killed brutally. Many others were imprisoned and killed in Asseb and Nakura, including Ali Mohammed Osman Buru, Degyat Mahraye, Mohammed Nuri…” Tekeste Negash wrote a book about this resistance. The prominent events were The battle of Halay where Degiat Bahta Hagos was killed 1894 and the Eritrean Alacatraz, 1901, the daring escape from Nakura. Wonder why they didn’t kill a single Italian soldier they captured? It both speak to their noble nature; also calculating to save their people from Italian reprisals. 4. On Nuguse Elfu, the gist of the story is ‘Qosli Zeyenbernalu…” which will remain true until we have a duly elected leader in Eritrea. You say “. A society which upholds the proverb “never mind death, there, even, is old-age”, for instance, is divulging its deep pessimist outlook, because if death has a higher value than any of life’s threads then it has an absolute higher or equal value over life itself.” Doesn’t this proverb rather show that the inevitable death is embraced ( and has nothing to do with being pessimistic), and reflects the fear of losing the autonomy when one gets older and becomes fragile ( inquEE kilte gizie aytera-eye/aytera-eyet)? Pessimism, according to the dictionary, is the tendency to see, anticipate or emphasize only bad or undesirable outcomes, results, conditions, problems, etc. So embracing death for fear of fragility and loss of autonomy in old age is a perfect instance of pessimism because an optimist would tell you that old age doesn’t always come with fragility and loss of autonomy only, it may come with experience, wisdom, cool headedness and freedom as much as that sounds strange. This is part (II) of this week’s note. I hope to amplify through this note the themes of note(I) under the title ” ኣመል ምስ መግነዝ (Old habits die hard) : Caterwauling And Pointing Fingers From The Sidelines”. One Tigrigna proverb from the prodigious repertoire of Tigrigna proverbs that captures the essence of independence or freedom to ones dignity or pride and work as a prerequisite of earning ones livelihood is captured in the Tigrigna adage ናጽነት የኹርዕ : ስራሕ የብልዕ ( Independence Is To Dignity What Work Is To Livelihood). I think the message of the proverb is so self-evident, I am not going to overelaborate the proverb. Contrary to what some have claimed or implied that the Eritrean Tigrigna proverbs are a repository of submissiveness and docile obedience of the kings who ruled over them, this very proverb unambiguously captures the fact that the Eritrean Tigrigna speaking people value independence and are not merely docile acceptors of those who rule over them. What else captures this spirit of resistance than the “Tigrigna oral epic” N’gusse, N’gusse eza alem blashe ( ንጉሰ ንጉሰ አዛ ዓለም ብላሸ ) N’gusse, N’gusse — The World falls apart or the World is futile or useless. ንጉሰ ንጉሰ አዛ ዓለም ብላሸ —— N’gusse, N’gusse The World falls apart or the World is useless. ንጉሰ ንጉሰ አዛ ዓለም ብላሸ ——-N’gusse, N’gusse The World falls apart or the World is useless. ንጉሰ ንጉሰ ዋይ አዛ ዓለም ብላሸ ——N’gusse, N’gusse Oh The World falls apart or the World is useless. Although N’gusse was heroic and a popular beloved leader of his clan in Akeleguzie, he was killed in battle. As a leader, N’gusse became oppressive and dictatorial and probably lost the support f his people. As a consequence, he was killed in an unpopular battle by his enemies. This Tigrigna oral epic is yet another testimony that confutes and shoots down the claim that the Tigrigna speaking Eritreans were/are submissive and docilely obedient to their kings/rulers as exemplified by the Tigrigna proverb “ዝነገሰ ንጉስና ዝበርቀት ጸሓይና”. At least, through this epic one can see that the Tigrigna speaking Eritreans were not servilely acquiescent to all and any of their rulers or kings and rebelled and resisted when their kings became harsh and oppressive. Below find the details about the story of N’gusse. ” Abba Isaak Ghebreyesus published Legends, Stories and Proverbs of the Ancestors in 1949 which included a hundred stories, 3300 proverbs, and various poems. A very popular oral poem, Negusse, Negusse is about a legendary hero called Negusse. The events narrated in the 169-line Tigrinya text are believed to have taken place around the 1880s, just about a decade before the Italian colonization of Eritrea. According to Abba Isaak Gebreyesus, Negusse was initially a rebel but, because of his bravery and fighting skills, was acknowledged by the court of Ras Weldemichael, later becoming his general and then a chief of his own clan among the peoples of the region of Akeleguzai in Eritrea. In 1879, Negusse was killed in a battle, which was set in motion by a popular revolt of his own clan against his tyrannical and oppressive style of rule. Growing up in Eritrea, co-translator Ghirmai Negash heard this poem being sung and performed on many occasions – including by his grandmother who was a chronicler of oral tradition. Over the years, the poem, whose symbolism is interpreted as being relevant to all times, has been recited and documented by different performers and researchers and thus exists in different versions. This translation is based on the poem’s published version by Gebreyesus: Negusse, Negusse, Weiza Alem Blashe (Asmara, 1995)”. Thanks for the feedbacks. I think there are erroneous inferences and wrong conclusions coming from your corner that merits a response here. (1) You are wrong on your assumption that I have in my possession the EPLF’s booklet of Tigrigna proverbs of May 1986. NO. NO. NO. I do NOT have it. No, Sir. I have not made that point and the inferences you have made is off the mark by a wide margin, to say the least. (3) You are saying that ” You guys owe my cousin iSem an apology: when he used “Hawi Selas” (brother of Selas) as a common nickname in highland Eritrea, you guys said that is not common in Tigrinya folklore”. Again, you are wrong in your claim here. I was neither one of the “guys” nor have I written even a single syllable aprops the issue you are referring to. Because, that reminds me of Eritrean mothers dancing at PFDJ parties as their children drown in the Mediterranean. The more things change, the more they stay the same”. Well, I think you have a better reminder about ” Eritrean mothers dancing at PFDJ parties”, I think you may want to check the song by martyr Hagaos kahsay (Wedi-Bru). 1. Well, if you can tell the date of the publication (the precise year) and can drill down to a specific proverb ( the god awful znegese ngusna), and what the EPLF had to say about it, then I say you have it. In your head. 2. Ummm. Yes you did. Because the other arguments u made were uncharactetically lame and illogical. that nutty “znegese ngusna” makes sense only if the citizen (well they aren’t citizens but gebar, taxpayer) is not a stakeholder in which case it would be like someone telling u well whoever is the boss at the company u work for is the boss so accept him. First, I hope you will check out the youtube link here, of course, with advanced apologies to the moderator. It was one the popular EPLF songs in the mid 80s and, believe you me, this song had stirred and resonated with all and sundry “Adetat”, the EPLF’s women’s mass organization. The song paid tribute to the Eritrean mother in general and was an ode to the revolutionary Eritrean mother in particular. Second, I have done some searching regarding N’gusse’s mother in regards to the lines you mentioned. However, I couldn’t find the lines about his mother braiding her hair while her son was asking for water. Here I couldn’t see them in all the 143 lines of the oral epic. I remember hearing the lines in some songs, but here in the book they are not there. Please, do check the link at the tail end of this comment. ወድኽን ማይ ክብል እስኽን ትቁነና (your [dying] son is asking for a cup of water, while you braid your hair)”. His mother’s name was “Hagosa” and his father’s “Ilfu”, according the translation of Abba Isaak Gebreyesus: Negusse, Negusse, Weiza Alem Blashe (Asmara, 1995 by Dr.Charles Cantalupo. Lady Hagosa, call your child; and Ilfu, call your son. And any survivors mowed like grass. Then how could he die? Who can tell me how the lowest could bring down the high? The world falls apart – Negusse is lost”. To care more about their looks and how they wore their hair? As if he had no parents! They should burn in hell. Mighty king! And dooming him to slaughter like a wild boar? Fat as a cow stuffed with grass and muddy water from the rain. ቃል ኪዳን ኣትያ መግዛእቲ ክትዘብጥ/ክትሰብር? There are many many songs which pay tribute to mothers. Osman abulrehim has one; Korchach has one and each in its own way is touching. But loving moms and paying tribute to them is universal: very ordinary and hardly the stuff of great literature or art. Now Gheteb went searching the Negusse poem/odyssey/illiad in search of the lines dealing with his mom that I quoted. Don’t know what to tell you: never read the poem; have heard song afdaptations of the poem in the early 80s. This is not a poetic lyric, it is just an elementary school pupil composition. Believe me, this song will not survive after Shabia. Then Stewie (from Family Guy) stole the “mom, mom, mom, mom, mommy, mommy” line from Ustaz Alamin Abduletif. PS: Stop provoking my cousin Gheteb. The last time you guys had a blow-up, we had a binding decision that we will have stalemate. You are in violation of the terms. And many more, but why were mostly boys who were crying for their mothers? Emma any psycho-social or Freudian explanation? Anyway, because the great Shaebiya really cared and missed mothers, it showered the “symnbolic mother” with a lot of songs; that was until it captured Asmara. I have yet to hear any song that the ex-liberation artists have written about mothers since independence. Why? It hurts. I’m your witness Eritrean mother. You deserve more than the NUEW (Ha.ma.de. Ae) lip services. And don’t ever listen to SAAY, yes, you were more than 1/3 of the revolution’s man power. Are you saying Ha.ma.de.e. should rename itself Ha.me.d. e.dd.e ? Add Tesfalem Arefaine (aka Korchach) to your list of “boys who were crying for their mothers” if you are making a list. 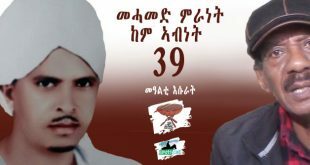 His song, “Adey”, was written long long after Asmara was captured. Hey SAAY; I don’t know why but there none who irritates me other than Korchach. His screechy voice coupled with his forced lyrics; I can’t stand him. Lately i am falling for Alamin Abdeletif old songs in Eritrean music department. the rest is usually ear bending. of course Abraham Afewrqi is the man of all. I understand what you are saying because I have a good friend who is like you: he doesn’t like what you call his screechy voice. And that’s alright: there is no accounting for taste. You are a man of many surprises. That article was from 1999, I think, from the Dehai days, when I stumbled on new info courtesy of the Wilson Center. Thanks for the compliments. And the memories, kinda. 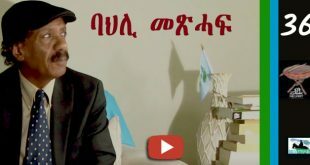 Was’t Tebereh Tesfahunegn, who sang the first song about mothers ” adeye ishi belni, ni- gualki tesfa habni…” Didnt Tsehaytu Beraki asked her mom ” adey kitweldni zeytemakrni…” ( or was that somebody else)? Most songs about mothers are indeed sang after the independence, the younger generation is full of ” mamaye” ( Sandro et al). Actually I was referring to the “ex-liberation artists”. During those long nights in the field, it was a sort of rite of passage for each band to have a song about mother in its toure cover list. So, I was wandering what happened to those veteran artists; and I was asking why they didn’t continue singing about mothers. Yes, both Teberh and Tsehaytu deserve recognition. Harbegna SAAY, who wrote that song before the capture of Asmara? I know Qorchach is from the post independence artists. Are you sure it was abotatna, or did they take ( leqaH) some, many mislatat from adetatna? But your assertion about the filler nature of proverbs , the malice to impress even if the audience does not know what you are talking about, “jella jellaka rebbi, eelim, aye liqq” when one has a comeback proverb. Really, the last lines you have written in your comment above are devoid of poetic touches that exceed time and place. They didn’t give me any sense of literature. Please allow me to interject. or in our Neguse song’s case – ጓለ ‘ዴኻ: ክትበኪ ምሕጋያ – ሰበይትኻ: ዘይመተ ሰብኣያ! 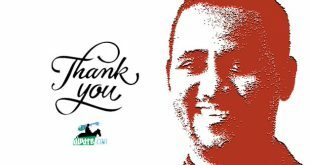 – The Message to Neguse’s Mother, father, sister, wife: The poet said different things to different members of the family. Some was said to his father, some was said to his sister, and of course some was said to his mom – the one we’re talking about Neguse’s mother – ኣደ ነጉሰ አዴና አይትኹና. The poem/song ዎየ was not intended to criticize the grieving mother. The intention was to express the agony of family SEPERATION (being at two different places in one fatal instant – Negusse at the battlefield, them (her) at home) and to express the sad reality of his mom NOT KNOWING what was happening to Negusse during the last seconds of his life. 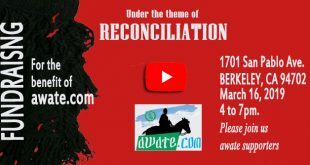 Like – the instant Awate, Berhe TsaEda, Ibrahim Afa, Abraham Teckle, Abdelqadr Romedan….. fell – and the thinking that comes to curious mind is that – far from the battlefield – what was their mother (father/sister/wife/daughter….) doing at that instant? Not knowing what just happened that second – could she been comfortably sleeping in bed? Could she been braiding her hair? Could she been enjoying a meal? Could she been laughing with a friend? – Type thing. 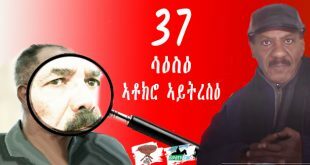 ኣደ ንጉሰ ኣዴና ‘ይትኩና – ወድኽን ይቕተል ንስኽን ትቑነና:: In all likelihood, she was not braiding her hair the instant her son fell at the battlefield. But for sure, that instant (the second Negusse fell to the ground) – unaware what just transpired – she was doing her normal daily chores when in fact, that moment was far from being normal. And that was the point of the poem. 3. – The ዝነገሰ ንጉስና – ዝበረቐ ጻሓይና proverb: In my opinion, out of many Tigrigna proverbs, this is one of the most realistic and defensible proverb I can think of. Not only because it is befitting to the ethnic Tigrigna reality of Eritrea, but also because it befits the reality on the African continent, the Middle East, and to all poor other third world countries for that matter – as most don’t have even the luxury of SEMBLANCE of choosing their leaders. The history of Eritrean leaders (kings or not kings) has been, like the sun we see on the horizon each day. They come and go on their own, without being influenced by the community. At the advent of Wubbe, ethnic Tigrignas said – ዝባን ዉበ, at the advent of Alulla, ethnic Tigrignas said – ዝባን ኣሉላ, during Hailesellassie ethnic Tigrignas said – ዝባን ሃይለስላስሴ, during Ghedli ethnic Tigrignas said – ዝባን ገድሊ, during PFDJ, ethnic Tigrignas are saying – ዝባን ስዉኣት – and tomorrow – who knows may be ዝባን ተቓዉሞ? Ummm on #3. You see, there is guy (I think you know him, his name is Semere Tesfai) who said, “Zban Haileselasse my foot!” and went to bleed for the cause of justice. Don’t forget, our people also say “zban Hgi.” See also the posting by Ghezae Hagos. Simply an epic reply..”Zban Haileselasse my foot!” to Semere Tesfay. I thought he had a decent defense to ‘Znegese..’ but you used his own experience as Tegadalay to rebut his own statement…that was so epic to use your own term. What a constructively valuable input coming from your corner, Semere. Thank you! Let me see if I can conflate what you wrote to the English translation of the oral epic by Dr. Charles Cantalupo. “…. and at times the poet would ask the people that were gathered at the funeral – ‘if there is a witnesses among them who was there when the legend fell’ – ምስ ንጉሰ ዝወዓለ ዶ ‘ሎ? And many impostors/pretenders would say ‘yes I was there next to him when he fell’ and the poet would refute their claim one by one – until the last honest warrior who was there next to him spoke the truth “. Tell me how. What happened first? How did he really die? Do I hear someone claiming to have seen him shot in the leg? A lie! I don’t see a single bullet missing from your gun. Negusse, Negusse, Negusse…. The world falls apart – Negusse is lost. Do I hear someone claiming to have seen him shot from behind? Nothing could be worse! Who utters such a curse? Negusse shot in the back? You mean running from a fight? You lie! I don’t see a single bullet missing from your gun. Can anybody tell me how he really died that day? Negusse died fighting face to face? Yes! No other way! And look, the empty gun. Negusse, Negusse. The world falls apart – Negusse is lost. Kassa, Kassa – Negusse needed more soldiers like you. Always following him – and Kassa, you are dead now, too. Grinding your gleaming teeth in the mud without a second thought. The world falls apart – Negusse is lost. ” ….at times by criticizing Negusse for being stubborn, injudicious and unfair – “. ” Still, we know our mighty king Negusse went too far. Of course, the people wanted to destroy him in the end. Let the people plow in peace, let them trade what they want. Let leopards and lion lie down with elephants and sleep. Let the shepherds keep their flocks and keep their milk. Negusse, Negusse has gone, never to return. The take home message, at least from my corner, is that from this oral epic one can see that when their beloved hero has gone tyrannical and oppressive, the people under Negusse’s rule withdrew their allegiance to him, resisted his rule and finally withdrew their support which ultimately led to the demise of Negusse. And this, by my lights, is a cogent counterpoint that shows that the Tigrigna speaking Eritreans were NOT nonresistant or slavishly passive people when it comes to their rulers or kings. 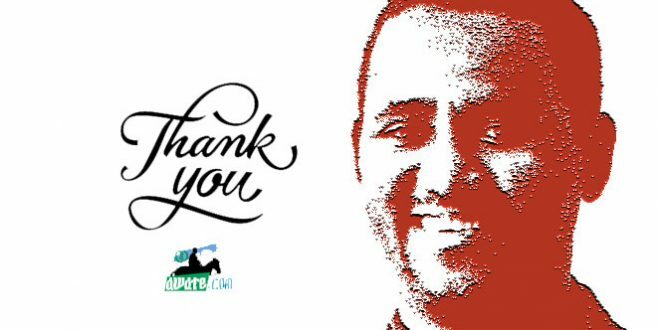 With much appreciation, thanks again, Semere Tesfay. So, we agree, that Negusse is really a celebration of Eritrean art and NOT Eritrean rebellion or leadership because this Negusse guy was a tyrant. And the real story is a celebration of the people who couldn’t take his tyranny and dispatched him to his maker. But a WaTa being a Wata, they had to make everybody else the bad guy and him the good guy when all available evidence was that he was a tyrant. The whole poem is about blaming everybody else–his family, his mom, his dad, his village–except him: for the tyrant he was. Kinda like, you know, “meqalsti indiyu siinu Isaias” and all other poems about you know who who were betrayed by the Tigrayans in the 19th century. ከመይ ኢለ ክኸይድ ምሳኻ ብእምነት (how can journey with you, giving you full trust? Negusse was a reflection of his time. In his time, for many reasons (religious, clan, region, revenge…) leaders ascended to power by being daredevil, by being high-stake gamblers, by risking it all – and the winners stayed in power and governed their people (divided people by ethnic, region, clan… at that) by applying brute force. No excuse there. Almost all leaders of that era (spare few?) ascended to the top by violence and were removed from power by violence. And Negusse’s story is no exception. No doubt he was a great warrior – ንጉሰየ ወደቦይ እልፉ – ስብእነትካስ ሓሊፉ ተሪፉ. But for sure, it can not be said the same about his wisdom. You don’t expect much wisdom from a young daredevil warrior who came to the top by sheer violence. Most warriors like Negusse wised-up with age and experience; but Negusse got to the top while young and died young. No doubt, Negusse impressed his admirers and detractors by his bravery. But for sure, he also left a divided community behind him. And his narrator (ዎየ ዝበለሉ) told it like it is. How could it be an Eritrean rebellion when Eritrea never existed? How could Negusse alone, possibly be a tyrant when the whole world was Negusse itself? Tyrant compared to what/who? To say tyrant, democracy, will of the governed…….. don’t you have to have some sort of reference to compare it to? Negusse lived as a man of his time and died as such. That era (prior to Italian rule), today’s Eritrea was a land of many small fiefdoms. Denkalia governed by Sultans, Semhar and Sahel(?) governed by Deglels, Barka governed by Degles and Natabs, Serye Adwa Shire regions governed by Degyats, Hamassien Akeleguzay Adigrat regions governed by RaEsitat – type thing. Then Italy come and created an arbitrary boundaries – and boom there was our Eritrea. The rest is history. His parent did not support him even if he was their son and actually they tried to convince him to mend his ways and he did not obey them, the parents stood with the victims of the brute, Negusse, not with him. It was a culture without laws, the mightier terrorizing the weaker and gheldi was supposed to fix that and some more. Based on ዓንቀጽ 70, ንኡስ ዓንቀጽ 91, እዝባር 2001 (ሀ) and based on the wisdom of ናይ ኣቦታትናን ኣዴታትናን ምስላ – which clearly states – “your mother will mourn you until the day she dies” – Negusse’s mother was never on the side of “justice seekers”. In fact I have unedited video footage of her interview recorded at her son’s funeral at መቓብር ሓርበኛታት. She clearly stated “ንሱ (ኢሰያስ) ንጉሰ, ንጉሰ (ንሱ), ንሱ ንሕና, ንሕና ንሱ” on quote. And in the spirit of the holidays, I’ll send you a copy of the interview as a Xmas gift. Word! Wolday was very trusting, very naive, and very humble guy. You know, the kind guy you want have a beer with. Besides being very trusting, Welday was also known for his unique hobby – ሰብኡት ዘብኪ: ኣሲሩ ብስልኪ. Many historians don’t know it, but in fact Welday’s ሽም ካህናት was Amanuel H. And sadly, Welday’s naive and trusting nature didn’t get him far in life. Taking advantage of this poor soul’s trusting nature, some conniving folks – ምሒሎም ጥሒሎም – they pulled Hayat on him. You know Mokhsi, some things never change!!! That’s why we still remember him and sympathize with him. Do you (or anyone else) happen to know/remember the story of one of the Kentibatat or warlords offrom the region who killed a baby to get at his family? I wish I had my references around! That was creative considering he was a product of his time 🙂 Wouldn’t you agree? I don’t know the guy’s name. I think I missed that story. Please dig deep! But I tell ya, that was an interesting time that makes the wild, wild west look like a picnic. Moreover, Plato and Aristotle were pagans who lived centuries before Catholicism but many leading lights of the Catholic church argue that you can’t understand the religion unless you understand Plato and Aristotle. I think one of them (Aquinas) made him a retroactive Catholic. So, Negusse has become the qunitsential Eritrean although he lived and died before Eritrea (confined within the political map made up by Italians) came to be. We use “Eritrean” because Ghedli taught us to be very uncomfortable in describing the people by any other identity:) So it is partially your fault. You, SGJ, Emma and Mahmud Saleh. I am sbsolutely with you in this regard. At this critical time, I do not believe to discuss on issues that matters before the creation of “Eritrea ” as a result of partitions of Africa by the European colonizers. Look the whole week we spent on “Negusse ” a man who lived before the formation of nations. For everything it has its own space and time to be raised and debate on. Surely, this is not the time and space to debate on “Negusse. ” The article is indeed a provoking idea as to why we become submissive to dictation and oppression. The author is challenging us to have the courage to stand against our tormentor and to free ourselves from the grip of PFDJ. For me the article is a call to instill courage. Fidel Castro, as his soul departed his body, he left behind an egalitarian society with universal quality healthcare; free education; equal opportunity with food and shelter assured for all. Fidel Castro leaves behind a Cuba that is the envy of All the neighboring Caribbean and Central American countries that remain mired in all the economic, internal security and social ills marked by the downtrodden, the underprivileged masses touched by the American Wild Capitalist System. As a admirer Nasserite youngster as the time , I still recall that vaguely memorable gathering of Jamal Abdel Nasser; Fidel Castro and Nikita Khrushchev On , 1960th in New York City, as all gathered on the occasion of the annual meetings of the UN General Assembly Gathering. Nasser was meeting Castro, the Hero of the Cuban Revolution of 1958 for the first time. As both warmly hugged, I could sense in Castro a true revolutionary with all the signs of endurance and continuity. The gathering of those giants of world leaders in 1960 proved historic and exceptional by all measures. Fidel Castro, identifying with the disinherited, dispossessed, the downtrodden, the scum of the Earth masses, elected to stay in down run, poverty stricken New York City’s Black neighborhood of Harlem. Fidel Castro’s UN visit turned out to be a huge event; an exhibition of defiance to the very heart of American Capitalism making news playing the man of hour freely mixing with the crowds. When one visit sure did not feel the glamor and dazzling lights of Paris, London or New York; yet, you will some what found a happy people with no sign of visible poverty or indignity as one witnesses running into the multitudes of the homeless crowds on the streets of fashionable districts and in the hidden shanty towns, neighborhoods of these glamorous cities. While AIDS ravaged the Western world, indiscriminately helplessly afflicting the rich and the poor, with drug addiction hitting epidemic proportions in the Western Capitals and Western cities, Cuba, of all countries, managed to remain clean from the AIDS and Drug Abuse epidemics. Cuba, in addition, prides itself of becoming a leader in the production of pharmaceuticals that are equally accessible and are afforded by the entire Cuban population. As I read many years back a well-researched biography about the live of Castro and Castro’s years of struggle, even those I do not agree with communist ideology I was incredibly impressed with the great and exceptional leadership qualities of the man. Fidel Castro, born to a well to do Cuban family of pure white stock, was an ideologue, a lawyer profession. Fidel Castro was a philosopher, his great knowledge, deep philosophical thinking, deep discipline, convictions and deep sense of mission, are rare qualities that can only be find in leaders of true nation building. His strength of character and resilience are, by all counts, legendary. Communism to Castro and his great colleagues of the revolution, including Che Guevara, was the ultimate practical expression of “Humanism,” of a true “Religion” intended to edify a solid system of social justice and equality, irrespective of color, creed or ethnicity. This, as a significant percentage of the Cuban population is of Black African stock, descendants of African slaves while Fidel Castro himself was a White Man descendant of the privileged Spaniard White Stock. At the time Communism as an ideology seemed the sure definite path to ensure the transformation of a society plagued with the ills of the excesses of Capitalist exploitation and deeply invested corrupt system; to Castro, Communism was Religion that Castro espoused as the true expression of love, caring and deliverance of the masses. As I look at the tens of millions of the American White Evangelists, foremost residents of the Bible Belt; Alabama, Tennessee, Georgia, etc., the American Southern states, the hub of the Born Again Christian Right and the breeding place of racial segregation giving rise to the KKK; it leaves me wondering in comparison: who is the real true Christian, the True Christianity, the True religion that of the American Christian Right fervently adhere to or that of Castro’s brand of taking care of his poor people ,called what you want ,socialism or communism?! By corollary, in ending, just as example for compression purpose metaphorically who is a better vicegerent embodying the message of God on Earth, the message of Christianity, a Jesus incarnate communist Fidel Castro or self-acclaimed evangelists of the likes of Cuban immigrant senators Ted Cruz and Marco Rubio? Both Cuban origin ! Fidel Castro completed the legacy ensuring the continuity of his vision and dream in voluntarily abdicating the office of Presidency, much earlier, to a successor, another companion revolutionary, to ensure the smooth transition and succession of power; thus, ensuring continuity and the upholding of the eternal principle that the people, the masses come first; they alone, and their will are the eternal ones. Hi Burhan; My dad has told me about this one and you seem to left out two liners. just sying. Kisab Hiji Mixnahaka Eqa Ageb eyu Ageb. Thank you for adding the two missing lines. I suspected there were few or more lines missing, but I couldn’t be helped. I still, even now, think there are more and I will not stop searching until some one assures me that that is all. thank you again. Hi Burhan; you are right there is more to it. What is more impressive is, the lyrics wasn’t even premeditated. I was told they were said on the fly. As i was told the well to do old man was basking on the early morning sun in front of his house and he saw a man passing by. the man was known for his poems during weddings and funerals. Then old man asked the passerby to stop and talk to him. the passerby resisted by saying ” no I am in rush i have somewhere to get to” then the old man insisted by pleading ” B-MISAH-Marayam” I was told if some one insisted by provoking ” B-Misah-Maryam” no one refuses and everyone complies with whatever it is. I am assuming it got to do with religious things. I.e the passerby has no choice but to comply with old man’s inquiry. once the passerby in front the old man; the old man told him; ” i know you will say a word or two when I die; but I rather hear it what you have to say about me when i am alive i.e. say what you have to say now. the old man told the passerby to take one ox of his choice and the passerby went home with one great gift of all. so, what is more impressive is that it was said on the fly with out any kind of preparation. I may have forgotten some of the lyrics but i will ask my dad. Hi Nitric, I like this proverb. Thanks for sharing it. Thank you for your educational input. I have read your article in a haste. I will read it again, so I will save myself from commenting on the article. The following will be around one proverb that has been given more attention. To me, Tigrigna is a second language, but I think I could say few words. My initial impression was that it would be helpful if we looked at the particular proverb we mention within its social setting/context. Take for instance ዝነገሰ ንጉስና። It tells you of an aftereffect of a process. It doesn’t tell you the process, it does not tell you what type of a “king” they are referring to. It simply tells you that the people who say it accept a king that has been crowned. The proverb does not tell you anything about the process that has led to the crowning of the king (whether it was a constitutional one or not); it does not tell you if the king is cruel, just, hereditary or constitutional. If one really wants to entertain a theory that states that Tigrigna speakers are conforming or submissive, then he has to prove the absence of proverbs that provide counter narration. For instance, he will have to see if the society condones injustice (are not there proverbs that overwhelmingly negate the theory that this proverb prompts/). Therefore, one needs to understand the society and its cultures in order to make any sense out of a single proverb. Today, we have names and terms such as leader, president, parliament, constitution, rights, duties, checks and balances… that describe modern politics and concepts that describe the political landscape of our times, something our society did not have centuries ago. Could we really be sure to judge proverbs that were established hundreds of years ago as holding the current values of Tigrigna speakers, or as reflecting the attitudes of the speakers of today’s Tigrigna? I don’t think so. When that proverb became a household punchline, perhaps, our people knew only of kings. But there is nothing in the proverb that says they were tolerant to unjust kings, or that they would not revolt against unjust king; we know this because of its exact literal meaning and because of the fact that there are many Tigrigna proverbs that promote justice . There are many proverbs that shun, and reject injustice and subjugation. Therefore, ዝነገሰ ንጉስ tells you only of a resultant action, the advent of crowning of a king. It does not tell you about the process that leads to that event, or the type of the king. In order to establish that Tigrigna speakers tolerate any king that is crowned, and extrapolate it to mean that they accept and support our modern “king”, you will have to back it up with other sayings that tolerate the crowning and rule of ANY KIND OF KING. Some, including iSem, are making simple mistake. There has never been a perfect society. Societies grow, they move on. They live traces. And proverbs are traces of cultures, norms, attitudes that have mostly moved on. That does not mean it’s reached its optimum level, but it’s moving towards it. For instance, Tigrigna speakers’ attitude towards women, say, 1000 years ago, 100, or 50 years ago does not reflect today’s generation. Although we have way to go, the attitude has improved greatly. Very few pockets think of women today as nothing but house bound maids. Eritreans have known each other more than any time in history. With that, prejudice decreases, thus many of the old proverbs that were based on prejudice become cultural traces of the era they were originated in. We can’t take them as 100% defining present attitudes. Some proverbs have moral values that transcend generational and cultural boundaries and are usable, others are here as remnant reminders of the past. We need to know in what context they originated. When ever I visit Awate the first thing I do, ofcourse after reading the post, is look for capitally lettered MS. The way you think, convince, debunk, and mind blowingly write is what got me addicted to reading you. I am a young guy fresh out of the nation, and fresh to learn from people like yourself whose writings are pure reflection of sound and rational thinkers. I summoned some courage today to give some words which for sure are not enough to explain the great person you are, becuase of the argument you brought up that in a single line ruined the days spent in developing the whole article only, I mean, on the part where it tried to convince the causative agent for submissiveness could be such proverbs which over time, and repeated use ushered to negatively acute humbleness. You chose, and I believe it is, the right angle where you should shoot from to fairly dismiss that particular assumption. Thank you Mahmoud Saleh my guru!!! I welcome you to this great forum. I’m humbled by your nice words. Each of us has been inspired by someone. I was certainly inspired by great writers and thinkers who made this forum a great place. So, welcome and feel at home. We are all temeharo. Hi Mogot; is this your real name? I am asking because I have never heard of it before. If it is your real name, what does it mean? I am wrong for me to assume it means Debate? Regarding the great MS, well, keep reading. Yes, it is. And yes you are right that you are wrong to assume it to mean a debate( I would not have hated it if it was so too, though). I find, the word dialectic, instead of debate, in English equivalent to the depth intention the name(mogot) holds within it. Information you might want, so far to my knowledge there are two Eritrean mogots one being I, and many Indonesians, yes Indonesians. Finally, you are not alone to ask this, I have many incidents of frowned faces at me up on giving my name in offices, in Eritrea of course. This “znegese negusna: zbereket tseHaina” (whoever is crowned is our king; whatever rises is our sun) proverb has had three defenders here at awate, and all of you tried mightily to rationalize it and justify it. Only one party (for its own self-interest) spoke candidly about it: the EPLF. It said that it is a proverb advanced by those in power to protect their power. To tell the commoner that you should accept without question whoever declares himself as king, just like as you would accept if a different sun, from the one you know, rose in the East. Both are, after all, the acts of God for, no matter whether the king is a tyrant or benign, he uses one authority to claim power: divine power. He is, after all, the Elect of God. Then came Gheteb and gave it his best shot. After making some lame arguments about how this doesn’t tell us whether the king is just or unjust (lame because the proverb doesn’t make conditions on which king to obey), he makes the case that the proverb is generally ignored. In the end, he yielded to the wisdom of his organization (EPLF), which rightfully called the proverb: “feudalistic and conservative in the service of colonizers and the capitalist class.” I would add here that also included everyone who benefited from the feudalistic system, including the Church. Now cam the great MS to argue that “the proverb tells you only of a resultant action…. It does not tell you about the process that leads to the event, or the kind of king.” But that is turning the proverb on its head. Its admonishment is absolute: znegese . Whoever is the king, regardless of the process that got him to be king, obey him. And the parallel it creates with the sun is not coincidental: it is telling the people that just as you, without question, accept the sun (whether it rises early or late, whether it is covered by clouds or it is a clear sky), submit to the king. ዘረባ ክልተ ከይሰማዕካ ኣይትፍረድ: don’t pass a verdict without hearing both sides of the story. Conclusion: the znegese negusna is a terrible proverb; no need to sugarcoat it. The good news is that it is one of many contradictory expressions that can be treated as a relic of a long-gone era. Here three points ato MS wants to make. 1. Etiology of the proverb unknown, so we guess. And when we guess, our guess could be as good as our reading of history. That’s where cousin Ghehteb comes in. I think he made a know-out punch. Cousin dawit is not back from “Zura’mo hagerka toure”, we will see if he surfaces. 2. My take: I tried to explain that societies use political lexicon available to them within that specific specific time and space. They exercise the customs that the political culture of that era availed to them. For instance, the political lexicon of Tigrigna people in precolonial Eritrea, or greater Abyssinia , would heavily been heavily influenced by the teachings of the church, which in turn was the legitimating power of the kings. Therefore, what’s so surprising about it? They did not have concepts of modern politics such as democracy, elections and so on. Concepts such as justice evolve. Accepting the authority of a crowned king of that time would have been a consummation of a process; just like the acceptance of a president you have not voted for. For that society accepting a crowned king would have been the observance of justice at play, as they knew it and practiced it. Here, you have voted; you followed the political customs and regulations of your time. In those days, they accepted a king that had been blessed by a church or by some other arrangements. In Islam we have what we call Bei’Aha (بيعة) where you will have to pay allegiance to the ruler or Ameer. If you don’t, you know what happens. That does not mean Muslims have not revolted against unjust Ameers. So, truth be told, it’s not unique to Tigrigna or the Orthodox church. The question is: a/ Does it tell us that they did not or would not revolt against unjust kings? Had there not been revolts in Eritrean Kebessa? b/ Even if we are to believe that the people were submissive to any kind of kings, does that translate into today’s society of Tigrigna speakers? Does the proverb still carry the same weight of moral value that it held centuries ago in the minds of today’s Tigrigna? Those are the questions I’m trying to tackle. If we are going to judge Tigrigna society that lived centuries ago, or even 50 years ago through today’s political lexicon, I think we are in “fechew” mode. 3. Do I like it? No, I don’t. My argument was not about whether this is an acceptable proverb in today’s life. My argument was and is that this is a relic of past socio-political experience. It tells us about some aspects of our people in the past; it doesn’t tell us that the proverb expresses the current attitudes of the people. I don’t defend the proverb, per se, but I certainly critique its unwise use to implicate the speakers of the Tigrigna language, that includes you, SGJ, EMMA, the youth who are revolting against the current states quo…as cousin Hope would have it said: Where is the evidence Abu Dunya? You want to go back: How about the Harka, the demonstrations of the students and the workers, the revolting of Tigrigna along with their brethren from other nationalities against the crowned Negus, and against the crowned military Junta…. I love your role as the custodian of Eritrean unity and your indefatigable efforts to identify blanket accusations and pushing back hard, whether that is against the EPLF, the Eritrean Revolution in general, or Eritrean culture. 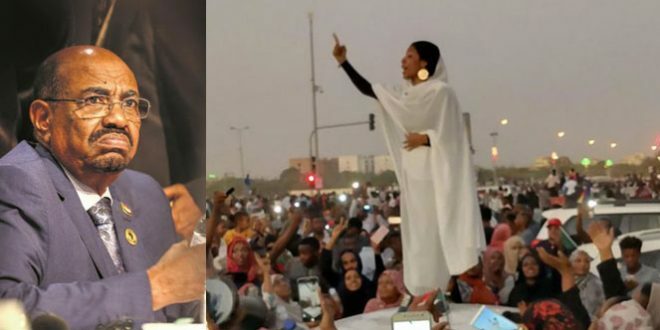 Burhan Ali is going for something deeper: what if the Eritrean society has no long history of standing up against unjust kings? This, incidentally, was a common accusation by Ethiopians: since there isn’t a long and glorious history of Eritreans rising up against Italians who colonized them for 51 years (1890-1941), then them rising up against Ethiopia is not because they love freedom and independence but because they hate Ethiopians. (Sound familiar?) Burhan Ali is making a different argument, I think, the people’s traditions and values (as expressed in their idioms), do not call for rising up against an unjust king and, in fact, call for patiently enduring, nay cheerfully accepting, any old king who is self declared. To me, Burhan Ali’s excellent piece would have been more complete if he had touched upon why is it that the other half of Eritrea–the one that did not originate “znegese ngusna”—does not rise up either. What is it in its culture, traditions that has made it a bystander? An observation: one thing I notice is that some people consider Eritrean culture to be immune to criticism. Just say “abotatna kem zbelwo” and add any old proverb and we are supposed to be in awe at the wisdom of abotatna and the speaker for knowing the proverb. Its almost like we have all become adherents of Shintoism, worshipping our ancestors, instead of accepting that they were just average Joes from illiterate societies trying to do their best to make a meager living. You came up with another behavioural explanation: “We are all adherents of Shintoism, worshiping our ancestors”. Actually you are right that we worship our ancestors, to the extent we assume them as universal wise men within the context of Eritrean realities, and we have to emulate them without questioning. A disturbing premises that does not consider the new realities. But the question to you is: which one of the four sects of Shintos have the same characteristics as ours? This one actually needs an addition. Translation: listen and obey the [authority] even if the delegated [authority] is an Abyssinian slave whose head is like a raisin berry. How about a positive spin that the proponents of the god-awful znegese ngusna can also apply. Actually, I’m not acutely aware of what I say and why I say it; that is, I don’t take myself as a custodian of anything other than my four boys. But I tend to scrutinize issues that target Eritrean social fabric and Eritreans’ sacrifices. I owe it to the self-less heroes and heroines who have not made it out alive; they have no other defense but us. That’s what you see when I exchange heated words with the Neo-andenites and wayanistas. I don’t pretend to be more patriot than any other Eritrean who makes arguments in good faith. That rests my case on the first paragraph. One day, if a people desires/chooses to live, fate will answer their call/destiny. And then, their night must be lifted/unwrap/fade, and their chains must break away. That’s what the creatures have told me; and how their spirits talked to me…And so blew the wind in the paths over the mountains and under the trees….and who he doesn’t like to climb mountains lives for ever in the holes. The point: he who does not want to dare the cost of freedom will forever live in the shadows of opression. If you thought Eritrea was part and parcel of Ethiopia, then wouldn’t the acquiescence of Ethiopia, (while Eritrea was suffering under the Turkish, Egiptians..Italians…) be considered as a failure to fight off agressors? Let me put it this way: Say Sahel was occupied forcibly by Sudan, and bxaay IA turned his back to the plight of the inhabitants of Sahel. Primarily, who is to blame for accepting the facts on the grounds? If my foot is run over by somebody, I’m (my whole body, including the affected foot) should push off that aggressor. This is without saying that Eritreans were in the forefront of all the wars Ethiopia brags of (against the turkys the Egiptians and the Italians). 2. No, Saleh, I don’t believe that our culture is purer than the cultures of other people. Each culture is pure to the beholden. I encourage social critiquing. But I don’t support any attempt that isolates, without enough evidence, any social group and its culture as responsible of the states quo. That’s all. 3. I have read Burhans article. I have some points to make but continuing this comment will make it unreadable, it’s already too long. PS: For the record, I have not defended the provern “znegese ngusna”, full rationales of my comments in previous comments. I love this statement of yours: “he who does not dare the cost of freedom will for ever live in shadows of freedom.” Aren ‘t we (Eritreans) living in the worst kind of oppression, what Mahmuday yourself termed it as “shadows of freedom? What could be the reason other than lack of “liquid of courage” that we become submissive to oppression? come on Mahmuday, let us accept our reality when we lack courage to fight our oppressor. People are disappearing by the GoE, our youth are in the chain of modern slavery with no resistance to the predicament they are facing throughout the last 25 years. Civil servant under GoE rule except the daily lamenting we hear from them are the enforcers of the directives of the despot. Like what you said, there is no freedom without sacrifice. So the reasons that kept our people in the current situation this long is, lack of courage and commitments even to the extent they should be ready to sacrifice to free themselves from the grip kf their tormentor. Anta Emma Arkey entaay’mo ygeber? Be motivational, motivate, motivate, motivate. The agitation and nurturing of any sort of resistance needs optimistic attitudes. If we believe we are not capable of creating change,then that’s the end of the journey. Why do we then talk about the dismantlement of PFDJ? Who is going to dismantle it? Labeling people as docile slaves, or as inherently” znegese ngusna” lots does not serve the efforts of creating a conducive climate for change. We have to retool our expectations, and our viewd. Hamot/ courage is contagious. Be a motivational agent. Be objective and truthful about why Eritreans are braving thSahara and Mediterranean Sea perils than the organizations in their backyard. Both Carry the possibility that one might lose his/ her life. But why do they use the Hamot to date death at the hands of barbaric groups rather than die while fighting for their freedom along their brothers. Unless we become frank about the REAL reasons that are delaying the proper exploitation of the raw courage of our well-known trained youth, we will waste time in blame games. …On average, the living are smarter than the dead…. You can translate “smarter” as “endowed with more information” rather than “endowed with better cognitive abilities/potential”. I think it is empirically supportable too, especially in today’s world where the rate of change of everything is accellerating. It used to be that things did not change much for generations, so 200 years ago, my grandfather’s accumulated wisdom, articulated in a pithy rhyming format, would have been useful for me. The very purpose of having them in some kind of rhyme or alliteration or somesuch literary device is to deal with the problem of more or less universal illiteracy – somehow we tend to remember proverbs if they have some rhyming quality, rather than if they were just quotes . But they become less and less relevant as the years pass and the world changes. ዝነገሰ ንጉስና ዝጸሓየት ጸሓይና has no defense as a tyrant king could be equated with a sun that rises on an overcast day and very dark and gloomy clouds. Where as ዝነገሰ ንጉስና ዝበረቐት ጸሓይና clearly states that the king and the sun MUST SHINE BRIGHT. key word ዝበረቐት does not mean any sun that rises. ተዕግበካ ትኸውን ‘ዛ መልሰይ። No condition or precobdition…. 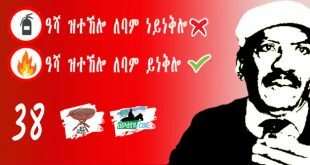 ብሰብ ከይትሰምዕዎ ትማል ሞይቱ ብጻይ ካስትሮ !!!! ደቂ ኤረይ ክቐብር እናነባዕኩ__ ንሱ እዩ ትዕድልተይ !!! and development of ዝነገሰ ንጉስና ዝጸሓየት ጸሓይና an all Eritrean trait the real issues you bring forth I shall address painstaikingly. Perhaps Yoty Topy’s Fatigue defebse they can utilize as their mitigating circumstances defense. “…… concise distillations of extensive experience which were used to: make speech more efficient, to help resolve disputes, as an ethical guide, and as a document of native laws. And this wide knowledge has been, and is used by those who know them widely and profoundly, as well as by the general public”. In this week’s note, I will specifically focus and set my sights on one and only one proverb that the author of this article, has mangled and mutilated beyond recognition. I am talking about the proverb that the author of this article overused and belabored…” ዝነገሰ ንጉስና ዝጸሓየት ጸሓይና”. First, the author is not precise in his quote of the proverb, to put it mildly and without coming across as being utterly captious. The way I remember or know the proverb goes like this: ” ዝነገሰ ንጉስና ዝበርቀት ጸሓይና” as the words ዝጸሓየት and ዝበርቀት are not exactly the same nor are they equivalents. Second, in the much maligned proverb, one does not know how the king comes to power or one is not told what kind of king is reigning over the people. I believe that not all kings were created equal. I mean some were benign and benevolent while others were brutal and ruthless. Heavens, some were even philosopher kings and others were modernizers and nation builders. Third, rulers and kings come to power through different means and they become the de facto and de jure rulers willy-nilly. Though he didn’t win the popular vote, Donald Trump is the next president of the U.S.A. Ask many an American voter who didn’t vote for Trump, s/he will indubitably say something to the effect that even if s/he did NOT vote for Trump, and now that Trump has been declared the winner of the presidency, Trump is his/her president. This comes awfully close to the much traduced Tigrigna proverb of ” ዝነገሰ ንጉስና”. Fourth, like the author of this article, the EPLF’s book of “proverbs of Tigrigna” (ምስላታት ትግርኛ ), dismisses and disapproves of the Tigrigna proverb “ዝነገሰ ንጉስና ዝበርቀት ጸሓይና” for being too feudalistic and conservative in the service of colonizers and the capitalist class. The author of this article, on the other hand, is using the same Tigrigna proverb to point at the cultural underpinnings of the Tigrigna speaking Eritreans for their failure to raise up against what the author deems as a brutal tyrant ruling Eritrea. (A) There are as many Tigrigna speaking Eritreans, if not more, opposing the current rulers or “king” ruling over Eritrea. They are as shrill in their caterwauling from the sidelines as the author of this article and his non-Tigrigna speaking cohorts. Now one is forced to ask that why would these Tigrigna speaking Eritreans are immune to the unrelenting grip of the proverb ዝነገሰ ንጉስና ዝበርቀት ጸሓይና and why they are not blessing and kissing the ring of the current Eritrean king like their Tigrigna speaking brethren as they were product of a culture marinated in proverbs that inculcated submission and acceptance. (B) One is also forced to ask that if the Tigrigna speaking Eritreans were submissive and accepting of any king who ruled them, then why did they play a PIVOTAL and MAJOR role in rebelling and overthrowing not one king but TWO kings or rulers of Ethiopia who were lording over them??? (C) If submission and acceptance were the hallmarks of the Tigrigna speaking Eritreans, as the author would have us believe by using the same Tigrigna proverb, why have they resisted, I may add RESISTED mightily, against the new KINGS of the Horn Of Africa, the detestable Weyanes, and have refused to kiss the ring of “the Sheriff Of The Horn”, and consequently Eritrea and Eritreans have ended up paying a huge price? To say that I found the article to be nothing short of desultory is an understatement. It suffers from a dearth and paucity of deep understanding the culture whence the proverb sprouted and the lack of deep appreciation and understanding of the nuances of history and traditions is too evident to even the bare eyes. Though the article is sprinkled with other sources, be they writers or philosophers, the author ended up comparing oranges to apples and left loose ends hanging haphazardly all over the article. Now that I have spoken the truth and nothing but the truth, I am going to go and sleep on the road or the rail road as the Tigrigna proverbs pointedly admonishes. But, you know I ain’t doing that! Now I haven’t heard of any Tigrigna speaking Eritrean who has spoken or told truth to have ended up sleeping on a road or a railway to end up run over by a vehicle or a train. The point is…. Fifth, Tigrigna proverbs are hyperbolic and use overstatement to emphasize certain points. The use of hyperbole, overstatement or exaggeration is a literary technique used in writings such as literature. ሓቂ ተዛሪብካ ኣብ መንገዲ ደቅስ ” or “ሓቂ ተዛሪብካ ኣብ መንገዲ ባቡር ደቅስ”. It advises that you must tell the blunt truth, the ugly truth, no matter the consequences. Right? ዓሻ ዲየ በራኺ? (Am I, Berakhi*, a fool?) Now here, somebody is being asked to spill the beans (tell the truth) and he is saying, hey, what do you think I am, a fool? Well, very dishonerable and dispicable folks hyjacked the gem. I will have to fortify now. But consider this proverb very thoroughly before harping on a critique of an excellent artickle by Mr. Burhan Ali. you attempt to showoff and patronise me on the implied basis of your ownership of the Tigrigna language has hit the wall , I am a Tigrigna speaker equal to you. you also have to break your measuring ruler, it is not suitable to measure the hetrogenous, yes, even Tigrigna is not homogenous for tigrigna speakers themselves are not homogenous. further can you tell us the difference between በረቐት and ጸሓየት ? As you said Tigriniya difference stlight from region to region, cousin Gheteb’s view of the language seems monolithic, if I call a woman who cannot be my mother, but also she is older and and I call her ሳንዳይ or አብሻይ the professor in cousin Gheteb will correct me. And that applies to በረቐት and ጸሓየት but I think his issue is that ጸሓየት is usually used in some regions after the sun is out when it stops raining. Well, a very great article, when you read it you travel not only to a lot of countries but back to the past too. I want to say by mentioning some words, and to be precise two words, I heard, in Eritrean songs, where either the Tigrinya or Tigre singer starts his song by saying Ata Hzbi Eritrea or Shaab Eritrea, respectively and he or she continues in her or his song with other messages. This article seems to me that it is addressing Eritreans and the question is not only how come they are not able to make a change of regime, say like the Tunisian or Lenin style, but also how come they are contributing to continuation the dictator to stay in power. I can not agree with Saay7 that the proverb ” Z’ngese..” is related Tigrinya ethnic group, because in one way Burhan, is inviting us, for self criticism. 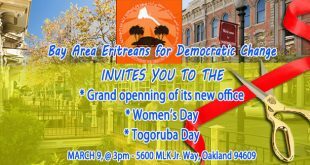 And in another way telling us the regime with its political, militray and economy wings systematically and by using force, attempting to impose Tigrinya in Eritrea. Look at Sawa, where all conscripted young men and women, are not only brain washed by the regimes’s ideologies but also by the regime’s pick with regard to language and culture: Tigrinya. At the end you will have other ethnic groups chat in that language and of course when they argue may use “Zngese”. It is like melting pot. It is a very serious article that is triggering significant comments, but for now I will stop here till another idea arises. Castro, one of th icons of the 20th century and a warrior of the bipolar ideological camp, has passed away at the age of 90. In the contrarian world we live, while his supporters are mourning his enemies are celebrating, the expression of the opposites we always observe. One thing that has always puzzled me is why Derg decided to downplay the Cuban involvement in the Ethio-Somalia conflict in its history textbooks. Unless it was thought at university level, I don’t remember it being taught in schools. You are not the only one wondering: the commander of the 15,000 Cuban soldiers in Ethiopia wondered the same thing, as he described it to his Soviet bosses:) Mengistu reluctantly admitted he had Cuban advisors when in fact the ‘advisors’ were tank operators, artillery specialists, pilots, mechanized infantry. All this was disclosed when the East German intelligence service Statsi collapsed after the fall of the Berlin Wall and you can read all about it (including Isaias Afwerki’s eagerness to strike a deal with the Derg behind the back of the ELF) in the Wilson Papers (the wikileaks before wikileaks.) Follow the link and type Horn of Africa or Cuba or Ethiopia or Somalia in the search bar. To tie it all with Eritrean proverbs, Betri Haqi etc, etc. Hasoten Qorbetn etc etc. Thank you so much for sharing the link . I could not exhaustivey conclude that this subject was not covered in Derg’s Ethiopia since I only did through 10th grade . But now I know. These troves of minutes shed light into a bygone era. There’s a minute where Castro inquires if the Yugoslavian press is controlled in a meeting with his comrades in Sofia Bulgaria, in early 1977:) This is the first time I am reading a leader openly admitting ,controlling a press. I intend to read every minute of these. I have weakness for firsthand sources. I guess Mengistu was ashamed to admit that he had sought the help of foreign mercenaries. Can you also imagine if it came to revelation that he was talking to Essayas through the back channels? The one I remember from memory is that Fidel Castro did not take Mengistu Hailemariam as a serious revolutionary until he massacred his colleagues in a meeting. Then Fidel was impressed. This is the guy that all the lefties, socialists and pinko commies lionize. Because Cuba produced a lot of doctors. Who cares if Cubans never had a say in how they were governed and in the end he replaced one form of despotism with another: hereditary socialism. Saay gave you a better answer than would be my answer. In other words I agree with the comment given by Saay to you. It is amazing that some people do not see a contradiction in calling Castro an icon while at the same time calling Isaias a dictator. Castro, cowardly Che Guevara [hero of budding young loony leftists at Colleges and Universities all over the World] and their associates imprisoned and murdered piles and piles of their opponents in cold blood. For example, leftist Obama dislikes Putin while both of them admire Castro. Does in anyway the comment I made shows that Castro is my icon? I was only explaining that Castro is the icon and warrior to one of the bipolar ideological camp (the socialist camp) who are mourning of his death, as oppose to the other camp (capitalist camp) who are celebrating of his death. Isn’t this the contrarian divide of the world we are living in? How does this explanation puts me in the socialist camp and not in the capitalist camp. Dear Simon my comment does not tell you what my position of either one. There is no contradiction of myself in the comment I made for it does not explain my position in it. Let me give you an example. Suppose Essayas has passed away today. 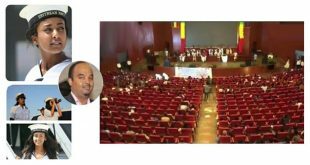 We will see Nitric who support the ideology of PFDJ and the leadership of Essayas (his icon and warrior) wailing and mourning while Simon K. who oppose the ideology is jumping hysterically and celebrating – a microcosm of the two ideological divide. Can I explain the situation in Eritrea in the way I put, in my previous comment? And does in anyway show my support in either one of your positions? Explaining the situation and showing you position are different thing, and hence my comment was of the former not of th later one. Go back and reread it. Was Castro as good as Isaias or as bad as Isaias? I do not know what is good or bad for you. But I could tell you this if it could help you. The term “dictator ” explain to both of them. How does your question helps you to your misunderstanding my comment? Welcome back; it’s always a pleasure to read you. I tend to take a different view of proverbs in general and those which are popular in Eritrea. To me they are no more than exclamation marks, and wits devoid of any value other that making an argument memorably. But before I go there, I think you will agree with me that these are not “Eritrean” proverbs and thus cannot define Eritrea. They are proverbs of Tigrinya speakers–who live in Eritrea and Tigray. And if the exact opposite proverb exists among a different Eritrean ethnic group, they completely lose whatever defining characteristic they are supposed to foretell about Eritreans. In any event, I am so glad you are here. Your pieces are always thought-provoking. Stick around! The “illiterati of the PFDJ.” You allready know you can’t why you have decided not to “go meta” on Mr. Burhan Ali. At a Texas Hold ’em Poker Table, a dealer deal’s two cards to each of the Nine players. In the First round of betting after the deal, the sportsman seated immediately to left of the button can either call, raise the amount on the button or simply fold. No player, especially in a high stake turnament, goes meta on the dealer. You either called/raised Mr. IsmaEElAA’s ante, who is seated on the button as our chip leader, or chickened and egged and folded your first hand. When is the fund raiser Black Jack tournament planned for? Also, can you include Texas Hold ’em. I can’t wait. I often mistakenly call an alegory a proverb and vi?a proverb an alegory. And so a I will also can’t wait the resourceful awatista iSEM II MESi (ዶንት ክራይ ሆም/ገዛና ካብ ኣርጀንቲና) to illuminati ኤረ ኤረ ኤረ and the illitirati ክቕበሉ ኢዮም ሰለስተ ግዜ አንዳ በሉ ሆየ ኣይንፈላለ! I am just warming up as all awatistas. In all seriousness I shall Pick It up pick it up pick it up here. See Engine number Nine above shortly. I tend to agree with Burhan Ali because (a) there are almost univesal proverbs that has cross-cultural applications, despite I agree that certain proverbs are limited to certain linguistic cultures. So we can not assume always proverbs serve to a particular linguistic cultures they are originated from (b) proverbs are not only molded by the powerful men, they are also molded by wisemen to serve for the public good in general (c) proverbs are coined within the bounds and stages of social development. Those that are coined during feudalism can be outdated during capitalism and socialism. (d) since proverbs are molded for different purpuses and applications, they are beyond exclamation marks and are not devoid of values (e) since they are popularly used in debates, then, what good is good to debate without value driven argument? They are memorable because of the value they are loaded with and expressed in a short way. Step 2: Give me two diametrically opposed statements. Step 3: Using Tigrinya proverbs selectively, I can make a persuasive argument for each statement. PS: Our old Dehai friend Haile Bokre published the only book(let) I know that had Eritrean (not just Tigrinya) proverbs. Tigrinya, Tigre, Saho, Blin, Kunama. Wish I had that copy. PPS: That those in power manipulate proverb to suit their needs was, I thought, obvious. But here’s an example: shabait.com used to publish Eritrean proverbs before they switched to English proverbs and then altogether gave up. Here’s one I remember: ኣቦይ ዝሃበኒ ናይ ወርቂ መንበር ፈጺማ ነይስበር . Shabait translated it as (and I kid you not): Freedom brought by our liberation fighter will never be reversed. PPPS: The fetish people have about proverbs when it comes to oral societies is universal. BBC Africa has a feature called “African proverbs”. The Spanish call proverbs “little gospels”; the Japanese call them “the voice of God”, and the Punjabi call them “the drum of God.” Weriduwo God. I admit that the proverbs I used are not Eritrean, they are exclusively Tigrigna, but since as Nasserite Egypt of the sixties was chanting “The earth speaks Arabic….الأرض بتتكلم عربي ” , so is Eritrea speaking nothing but Tigrigna. There is nothing except Tigrigna in Today’s Eritrea, and so I chose to deal with what exists rather than with what is supposed to exist, had I tried it, I would look like I have fallen in the PFDJ trap. By now all of us know that the great party has created a world which it want us to describe as another, different than its actuality. Thank you for this article that delves into the dynamics of language in social life and culture. Thought provoking as it is, it raises more questions than easy answers to the issues revolving around the social functions of proverbs. That said, whether the proverbs such as ዝነገስ-ንጉስና could be used to help towards our understanding of the predicaments we are in will require further scrutiny. It has been a while, since we have been speculating as to why the objective situations in Eritrea couldn’t lead to Tunisia type scenario. The absence of a popular apprising in Eritrean, in the face of untold dehumanization remains puzzling and it is part of the reasons why we need wondering into the realms of culture and societal practices for answers. We find proverbs embodying relatively permanent ‘motivations, perceptions, and forms of knowledge that people carry around in their heads because of their living in a particular social environment’. The author states provers index ‘general mood, temperament and worldview of a certain culture at a given stage of its history’. I concur and add, proverbs can predispose people to act in a certain way, depending on specific social setting. As the society grows more sophisticated and better literate some proverbs gain currency while others don’t and get discarded. Also, proverbs cross socio-cultural borders and appeal to people to adjacent communities. There may even be proverbs that are exact equivalents in meaning. It is common to say, ኣምሓራ ክምስሉ፡ አንታይ ይብሉ…………. Or making reference to one that I am most familiar Tigrayt proverb በዓል ኣመል ኢሓድግኒ ኣመላኡ፡ ዎደብር………. (could someone correct and complete). I was wondering as to extent the Amharic ሲሾም ያልበላ ሲሻር ይቖጨዋል (He who doesn’t steal whilst in power regrets after losing it) would have made its headways into the Eritrean Highlands culture. The fact that the above proverb seeks to normalize bribery/corruption doesn’t mean that the Ethiopians culture didn’t cherish integrity and trustworthiness. Corruption is tabooed but is now rampant in Eritrea. Whether proverbs could help towards our understanding of this bewildering situation can be explained in the following way : In the modern era, the function and power of proverbs to determine behaviour is diminishing, but they may be useful to account for certain social actions. You should read Burhan Ali attentively, and when you are done with that go back to his entire collection here at awate; he really is a gifed writer, well-read and with an amazing capacity to recall and contextualize what he has read. በዓል ኣመል ኣመሉ ኢሓድግ ዎ ደብር ኣካኑ:: Man of habits will stay with his habits, like a mountain with its station, said the proverb. This teaches us that some things will never change. Don’t even try. But (dramatic sound effect) could there be another proverb that teaches us the exact opposite? ክገብር እየ ዝበለ ሰማይ ቀረባ እዩ. If you have the will, the sky is the limit. That is: nothing is impossible. So even the man of habit can give up his habits and leave the stationary mountain all by its lonesome self. The internet leviathan has blocked your video and is telling me I can’t see it. Don’t click at the link from top awatistas page, but click at it from discourse page or click at Hameed Al-Arabi first and then click the link from my page. Someone is making fun of mountains of Keren when they don’t even have one in the village of Asmara. What they call mountains there are just mounds–we used to make ten of them on weekends playing geza-geza. Worse, some of them think CherHi is known to the world as Mt. Everest. BTW, Keren is way ahead of the moutainless village; they are now covered the mountains with artificial grass carpets. Thanks to Hkumetna alrashida. Still the carpet is brown but better than the one that grows on Mai-bela sewer water, like “Ngisti Saba”. Not the red-dirt, dusty Cicero. ህግያ ግራ ዘንብ ኢትኣቀልል ዎ ኣከይ ፍርድ ምዕጥን ኢለኣጠልል backbiting does not lessen a wrongdoing; and wrong rule/judgement doesn’t wet/water the riverbed. ህግያ ፍደት ምን ትገብእ ኣዚም ደሃብ ቱ If talking is a silver, then being quiet is gold. ላልትሃጌ ዘርእ ወላላኣዝ ምበትክ He who talks sows when he who quiets reaps his crops. ህግያ ዓቢሁ ላላኣቤ ረኣሱ ልንእሽ ዎ እገሩ ለዓቤ He who disdains the words of his elders, his head (brain/mental judgement) gets smaller and his legs get bigger. ሒለቱ ለለኣምር ሓምቅ ምን ፈዳብ ሓይስ He who knows his weakness is better than the good one. The question is how did the “good” become good? Perhaps he also followed the same rule. First most of the thousand Tigrinya provers are not universal, many of them are local even locally they can be made as you go by some witty men and women “ aboy ksto kemzi yblu neberu”, you can literally create you own Tigringa provers and journalists and writers over use them, I guess they believed what the EPLF book of May 1986 said about their logic and their use by men of wisdom. You, the real writers and published writers can correct me, but in English writing using a proverb is not considered creative, it is tired cliché? Bad bad bad iSem is here. I actually just watched the NEW video which samples Tigrinya proverbs of our “wise abotatna” regarding women. Pretty awful. Welcome back ya ustaz. You were missed. You have a distinct ability to use the interplay of philosophy and proverbs in describing issues and conveying your messages. Great piece and please keep the flow. Thank you for all the encouragement, I hope I will not disaapoint all the better writers than me like you in the future. It is an excellent expose on how proverbs arise out life experiences..
For example dictionary mentions too many chef spoil the pot. I ask myself, what kind culture utilizes proverbs heavily? Well, Proverbs are short easy to remember, compact, and they seem to speak “universal truth” or “Objective reality”… Some of those proverbs are general observations. And Eritrean with 4000+ years history have accumulated and preserved(via writing) these proverbs.. I am sure at one time those proverbs we hear in Tigrinya were also used in Geez, so on..
Proverbs are basically compact form of social learning that passes from one generation to another so that mistake doesn’t happen or generation could have explanation for certain event. But society also changes over time. I noticed in Eritrean community in diaspora with political/non-political discussion they throw proverbs(older generation) in discussion as closer in argument or summation. It always left me with this eerie feeling I wasted my time in discussion. I am generally left with impression the dialogue is circular and not constructive dialogue. For example, the comment that too many chef spoil a pot (what about with proper management).. chefs could brainstorm and collaboratively come up with great dish. Proverbs can be used as cautionary- but we are actors and creators of our destiny within certain limit. Some Eritrean proverbs can be taken by some folks especially of Gedhli generation with finality or fatalistically. I would love to see a book of Eritrean proverbs(historical and generational knowledge) thru the lenses of modernity with cognitive and neuroscience tools. Because if we have this we can an a nuanced understanding and usage of that knowledge- What scares me about future of Eritrea and Eritrean people after 100+ years of encounter with Modern west.. In terms of cognitive and mental tools- I feel like are still plowing our mind with same tool our ancestors used from 3000+ plus ago. The greatest gift or tool we can give next generation- encourage them to learn the best cultural aspect of west, east, and mix with element best of Eritrean culture- We are like a fish in an Ocean(modern world) and instead of proudly swimming in that Ocean- we have returned to underwater cave and occasionally via refugees leaving the cave we tell the rest of ocean we exist. We don’t form effective organizations or collaboration- I sometimes believe we have feudal mind in Modern world. It is about tigrinazation, arabization, ELF(dwarfs) EPLF(pol pot), what happened in Fenkil 198.., etc..
Gedhli generation started as hero of people but nowadays are frozen in time in terms perspective and mentality to be anymore effective spokesperson or leader for community. Where ever I travel- Kenya, Uganda, North California, Dallas, etc.. I see divisiveness in the community. I wonder what proverbs are the Gedhli generation going to pass on? This is best example of utilizing the Eritrean mind to participate in Modern world. I hear people in diaspora are proud of him. But most their conversation is where in Eritrea, where did he live, etc.. It is not what is is mentality or world view that allowed him to be an innovator. How do we give his world view to our children or to ourselves? We have a very divisiveness community whether in diaspora or opposition party? Has anyone asked what sort of mentality or attitude do we need to have constructive dialogue that leads to constructive action? Do we need a community organizer to do the same for community like this engineer did for construction industry above? What qualities does he/she need to have? Are we told too old to bring about this change and should we invest and direct energy next generation- by encouraging their participation. Are individual with certain mentality from Gedhli generation detrimental to future of Eritrea and Eritrean? Thought provoking and challenging great article. Keep it up. To me the article felt like a morsel covered with an appetizing gravy, and a well cooked meat underneath, at the bottom it had a meaty cake of its own. What a meal! Seven pages and I read it without stopping for a second. The flow was one of the best that Burhan has written, not to mention the dissection of the subject matter in such and elegant and deep manner. It’s simply brilliant. Are you familiar with Jamaican cuisine? Ox tail, jerked chicken, jerked goat meat etc… Speaking of goat meat, shortly after completing all the math requirement for the NY State Regents HS Diploma, by the 8th grade at JHS 43, ( rotated 90 degrees to the right or left, the number 8 becomes the infinity symbol in mathenatics. I am obsesessee with symetry, can you tell?) after discovering crime doesn’t pay in the Ninth grade, I attended Manhattan Center for Science and Math HS, adjacent to the East River. There, as a Sophmore, I discoveted a Jamaican eatery and ordered jerked goat meat , for I hadn’t had goat meat since Kesela/Fanko, a stone’s throw away, from my birthplace Teseney. Your meaty description of Mr. Burhan Ali’s article remibded to Dr. YeEbio Woldemariam reminded me of the goat, MCSM, the actor Mckay Pfifer, the Bronx Botanical Garden, Spanish Harlem and the East River. Earlier I wanted to comment on your inter-christian Ethiopian and Eritrean perpetual wars, not only because it sort of contradicts your excellent two third of millenia history recount on your recent article (reposted from 2011), but also because of my familiarity with the history due to a pilot for PBS I was an actor in as one of the characters you mentioned in your post Turkey belated response to Aron. That was a mouthful. Any how, Mckay Pfifer also gradguated from MCSM H.S. but a much better and sucessful actor than yours truly. Hopefululy we will have time to write our memoirs, I agree. To The East! Less than 16K or the Seidici degree marker takes precidence. Mr. Burahan Ali’s article has sucessfuly rubbed the Jeanie Bottle, and above I shall shortly comment with all seriousness. Let us all develop it. Usually when I see my name mentioned, I would like to reply or acknowldge reading the comment out of courtesy. But with you, most of the time I couldn’t. I wish you explained the “contradiction” you mentioned in your comment so that I can either learn or reply to you. Unfortunately I got lost on your Jamaican ox tail, chicken, New York, math, high school, Tessenei (BTW, it’s Senney), Fanko, Burhan, Yebio, Saay, MCSM, Mckay Pfifer, Bronx Botanical Garden, Spanish Harlem, East River, etc… that is so much to grasp, all snippetes that do not explain much. I am almost sure I speak for many here who would not reply to your comment because it is not focused. Could you try to comment in a linear form so that people can follow what you the point is, just to encourage engagement? When your comments are focused, you make seriously provoking and brilliant arguments, but most of the time, you meander wildly and the point you try to make is buried somewhere, only you know it what it is. But not those who would like to understand your comment and engage in a debate with you. That is what happens to me when I read your comments–as much as I would like to comment or reply, I do fail to understand your comment which is all over the place. NB: I heard this complaint from many people here and others who just read in private. I thought of passing that concern to you for whatever it is worth. Why labor so hard? I did say I will post in all seriousness above. And when I did the gnomes did their thing. I suppose I am testing this method to see if it will reach you. And then I shall. SaliH there are many ways to skin a cat. it is humbling to hear all these nice words coming from a terrific writer like Saleh Johar in discription of my article. thank you. Thank you Mr. Burhan Ali for a wonderful and timely article. I believe you have successfuly convinced the portion of the river. I wonder if this Tigrigna proverb is fitting to excite our select Nine to the Final Table of WSOP Texas Hold’em forum tournament? WuHuj key metSe mengedi wuHuj mreTse. Mr. IsmailAA knocked me out by and has doubled up his chip count to be chip leader on the final table, followed by the close Second, Third and Fourth top chips count: Mr. Semere Tesfay, MaHmood “The Best” SaliH, and “THE Dr. DA Captain” Saay7. ቅዳሕ ድሙ ካብ፡ “Ozi Ozi Ozi!” “Oy Oy Oy!